Click on an image below to choose from our huge selection of styles, shapes and colors. Click on an image below to see products and ideas for various types of parties. We've collected some of our favorite party ideas to help inspire you. 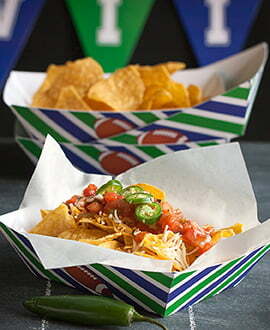 Use your words and photos or art with our styles, shapes and colors for perfect celebrations. Ordering is fast and easy, and you can order just the amount you need! Make a party extra special, and extra fun, with the addition of Evermine party products! Our product lines include party invitations, envelopes, thank you cards, labels, and tags for your favors as well as drink coasters. Plus, you can personalize keepsake gifts such as water bottles, CD labels, magnets, and pin back buttons too. And if you're searching for inspiration the Evermine Blog has loads of ideas to make parties extra fun. Lastly, our free printables page also can help to add zing to your fun for only the cost of your printer ink! The printables usually involve a little time with scissors and sometimes glue, but are quite easy and have a lot of impact at a party. For your personalized invitations, choose from our many fun and adorable styles for all different kinds of parties, from a birthday to graduation, wedding, baptism, Halloween, and dozens of other reasons to celebrate. Dress up your invitations with your personalized return address labels in the same style as your invitations, and continue to use them after the party is long over. Dress up the invitation further with the use of an envelope seal, perhaps with a photo of the party person(s), your names, or one, two, or three letter monogram. Use Evermine's selection of party labels and tags to dress up your tiny favor boxes or bags, homemade canned goods, or large bags of your homemade kettle corn or caramel corn. Then write your name or the name of your favor on them—"Cassie's Caramel Corn." Evermine party labels and tags can also dress up your party table. Add them to the floral arrangement, the garlands, or create a garland of labels or tags. You can also use the labels to seal rolled napkins at each place setting. 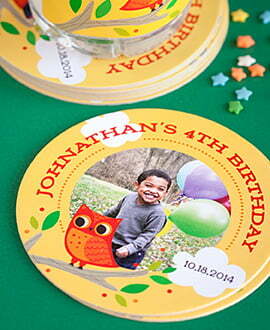 Design customized party coasters to toss out on the tables or at each place setting. Personalize them with a photo or names of the party people or the name of the special event "Stacy's Baby Shower". 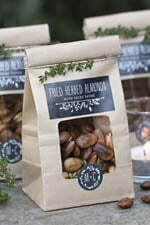 Buttons (Pin Back or Magnet): A lovely little treat to give out in baskets near the entrance to your party venue. Use a photo of your party person, or your names, or otherwise make them your personal party buttons. Order them in pin back for people to wear at the event, or with a magnet back for people to put on their refrigerator after the event, to preserve the memories. At the party, people will wear these pin back buttons with pride throughout the evening, and it will add zing to the event and create talking points (along with your beer or wine). Magnet back buttons are also great for sending with a save the date or hand out to friends in advance, to create a buzz about the party as people are putting the date on their calendars. From all of us at Evermine we sincerely wish you joy, have fun with your party! 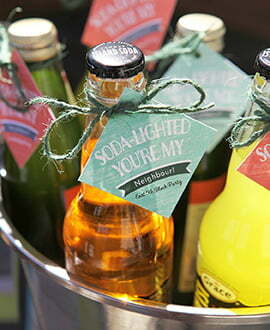 You pick the style, color and shape, then personalize the labels with your own words. Small quantities are what we are all about so you can get just the amount you need for your party celebration. Ordering is fast and easy, and you are sure to be happy with your custom personalized party stickers, labels, tags and other products: all of our standard personalized products are backed up with a money-back guarantee. Our party label and tag styles have been carefully designed with a wide color palette developed for parties including birthdays, dance parties, retirements, graduations, housewarmings, anniversaries, summer solstice parties, winter solstice parties, pizza parties, sleep overs, fiestas, themed parties, holiday parties, bachelorette parties, bridal showers, baptisms, communions, confirmations and welcome home parties. Use these party labels to celebrate the 4th of July, oktoberfest, halloween, the day of the dead, thanksgiving, hanukkah, christmas, kwanzaa, new years, chinese new year, mardi gras, valentines day, st. patricks day, passover, easter and cinco de mayo. 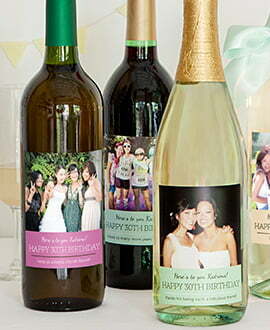 Use your photos and words to create personalized labels which are ideal to commemorate your very special day. Transform your parties, party CDs, wine or hand made favors into unforgettable memories with personalized custom labels, stickers and seals, as well as matching favor tags, note cards, place cards, party coasters and beer mats from Evermine. All of our party products, including tags, labels, stickers, seals, coasters, and cards, are customizable and personalized to fit your celebrations perfectly. 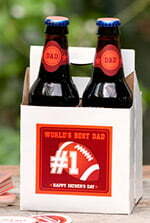 And, celebrate the party with personalized party favors and gifts. Visit our ideas pages for easy party favor and gift ideas, including recipes and instructions on how to create your own do it yourself party favors and gifts, and how to personalize them with party labels and tags to create very special keepsake gifts. Use the party couple's photo on labels, tags, coasters and cards for very personalized and unforgettable favors and gifts. Also visit the ideas pages and our blog, Evermine, for do it yourself party decorating, including personalized party coasters, favor tags and place cards. Make your party celebration extra special with personalized party favor tags, labels, stickers, seals, cards and coasters from Evermine. Looking good has never been easier!